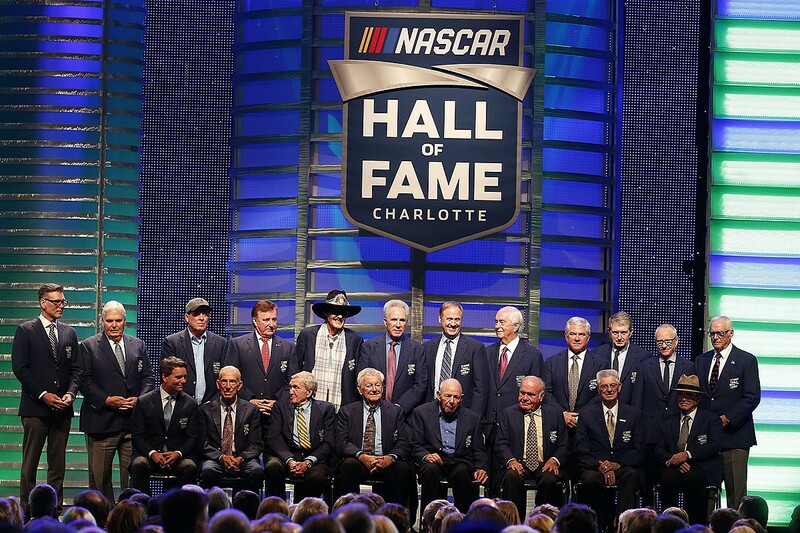 Five of NASCAR’s legendary competitors – three drivers and two owners – were enshrined into the NASCAR Hall of Fame in Charlotte, North Carolina, Friday night during the Induction Ceremony held in the Crown Ballroom at the Charlotte Convention Center. An emotional Jeff Gordon led this year’s class, including Davey Allison, Alan Kulwicki, Roger Penske and Jack Roush to now make the total of Hall of Fame inductees to 50. 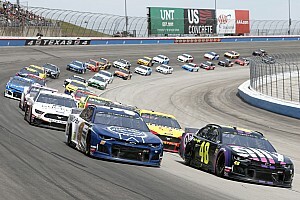 Gordon, from Northern California, is credited for taking NASCAR from a southern-based sport to the mainstream across the United States and also became the youngest driver in the modern era to win a premier series title as a 24-year-old in 1995. The leader of the Rainbow Warriors – named for his colorful Chevrolet – went on to win three more championships (1997, ’98, 2001). In 1998 Gordon won a modern era-record 13 races and finished his career third on the all-time wins list with 93 victories. 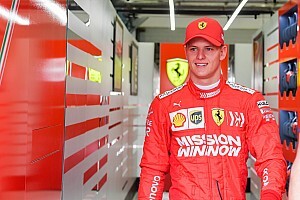 While being successful off the track he was also able to be the first to accomplish things such as hosting “Saturday Night Live,” and “Live with Kelly” talk show. Gordon also set a record of 797 race consecutive starts during his NASCAR Cup Series career. Before his tragic and unexpected death at just 33 years of age in a helicopter accident, Allison was considered a top talent behind the wheel that produced 19 wins and 14 poles in the Cup Series before his untimely death. 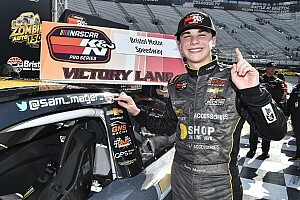 He’s the son of 2011 NASCAR Hall of Fame Inductee Bobby Allison and finished second to his father in the 1988 Daytona 500 as the pair became the only father-son duo to finish first and second in NASCAR’s biggest event. Allison would later win ‘The Great American Race’ in 1992. One of the greatest underdog story in the history of American sports would have been that of Kulwicki. After reaching success on short tracks throughout the Midwest the Wisconsin native moved to Charlotte in 1984 with only a pickup truck and self-built race car with the hope of competing in NASCAR’s premier series. He proved to everyone he belonged quickly winning Rookie of the Year honors with his self-owned team in 1986 and picking up his first win at Phoenix in 1988. Despite offers from established and better-funded teams Kulwicki never raced for anyone but himself. In 1992, he overcame a 278-point deficit with six races left to capture the NASCAR premier series championship on the strength of two wins, 11 top fives and 17 top 10s. Unfortunately, Kulwicki never got the chance to defend his title after dying in a plane crash on the way to Bristol Motor Speedway in 1993. He’ll forever be known for his trademark “Polish Victory Lap,” a celebratory cool-down lap with the driver’s window facing the fans. Roger Penske has built successful business and motorsports empires after being involved in both ventures for more than 50 years. His Team Penske team based in Mooresville, NC, has won 114 NASCAR premier series races, two Daytona 500s (Ryan Newman, 2008; Joey Logano, 2015), four Xfinity Series owner titles, and two premier series owner championships (Brad Keselowski, 2012; Joey Logano, 2018). 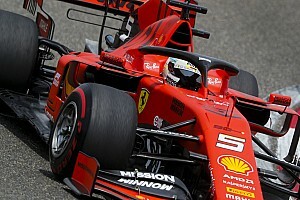 He was also a track owner during his NASCAR career building Auto Club Speedway in Fontana, California, in 1996 and he previously owned Michigan International Speedway and the no longer used Rockingham Speedway. NASCAR Hall of Famers Rusty Wallace (36 wins) and Bobby Allison (four wins) have raced for Penske. Roush was a drag racing owner and enthusiast before the Michigan native decided to try his hand at NASCAR in 1988. 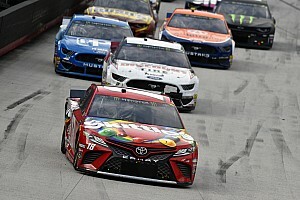 Since entering the sport, he’s won a record 324 races across NASCAR’s three national series and boasts five owner championships, including two premier series titles (Matt Kenseth, 2003; Kurt Busch, 2004). Roush initially built his powerhouse team by pairing with 2017 NASCAR Hall of Fame Inductee Mark Martin, who won 83 national series races for Roush from 1988-2005. Hunter’s career in the NASCAR industry spanned more than 50 years as a NASCAR executive, track president, public relations professional and journalist. 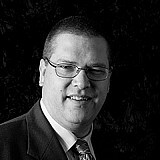 He worked for a decade as an award-winning journalist before transitioning to public relations for Dodge, then Darlington Raceway and Talladega Superspeedway. In 1983, Hunter was named NASCAR vice president of administration and 10 years later, he became president of Darlington Raceway and corporate vice president of the International Speedway Corporation. Hunter was a close confidant of Bill France Jr. who lured him back to NASCAR in 2001 to lead the public relations department for the company and many drivers and industry executives credit Hunter’s mentorship as the key to their NASCAR success. In addition to the induction ceremony journalist Steve Waid was presented the seventh Squier-Hall Award for NASCAR Media Excellence earlier in the day at the Squire-Hall Exhibit in the NASCAR Hall of Fame. Jeff Gordon: "To go into the Hall of Fame is kind of surreal"